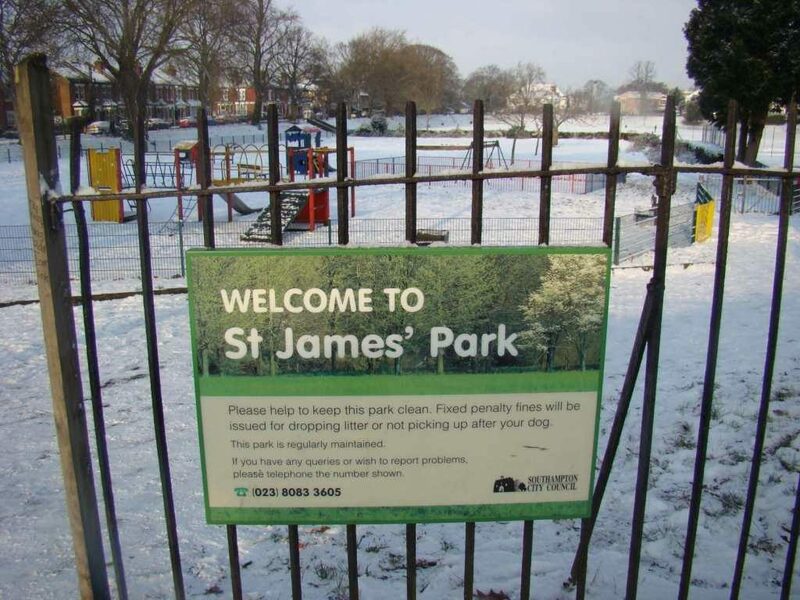 The Shirley Heritage Project was funded by the same Heritage Lottery Fund (HLF) grant that contributed towards the Restoration & Improvementproject in St.James’ Park during 2010‑2011. work and share information with local people, schools, colleges, and other organisations. We used all the fascinating information that we gathered over five years to produce a book on the history of the Park and its immediate environment – the book was launched in March 2015. We’d already shared some of the stories that we’d been given in our series of public history talks held each Autumn from 2009 through 2015. We also developed the History pages here on the website to share further information that we received and to keep everyone up to date. We plan to eventually share clips of audio and video recordings made during the project – the HLF has funded the purchase of equipment to support this. The Shirley Heritage Project was officially completed in 2015, but its work continues, with an extended remit, under the auspices of the Shirley Local History Group. Visit our Your Stories page to read some of the stories and memories that we received from local (and former local) residents.